Oral health is important for your over all health. Taking care of the body is important and so is your oral health. Full mouth reconstruction, also called full mouth restoration/rehabilitation, is the systematic approach to restoring all(or nearly all) of your teeth in both the upper and lower jaws simultaneously. This is not just a single treatment but a set of procedures designed to replace multiple missing teeth, set improperly seated jaw joints and faulty teeth, prevent severe erosion of the enamel, correct congenital disorders that cause missing teeth, missing enamel or poorly formed teeth and more. Each of these reconstructive procedures may be performed independently, but when multiple oral health problems exist, full mouth reconstruction may be advised. 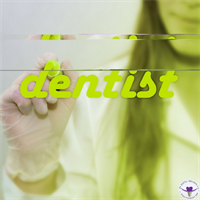 Typically, it involves general or restorative dental treatments like crowns, bridges, and veneers. OC Dental Implants based in Orange County, CA is a premier dental practice offering quality dental implant services to help you achieve a beautiful smile for a lifetime. We provide quality and affordable full mouth reconstruction services near you. Contact our dental office at (949) 701-3031 to learn more about full mouth reconstruction, or to schedule an appointment.